As first-timers to China, we knew the cultural differences would be significant. However, upon our arrival in Beijing we quickly understood why guided holidays for China come so highly recommended. Our first limitation was our inability to speak or read Chinese. Everything was in Chinese. Having a Chinese guide who is English speaking was for me the fundamental aspect of this experience. Our guide Lisa was not only able to teach us of the current social and cultural dynamics of China, but she also delved into the history of a country so incredibly removed from Western society that we came away with a real sense of enlightenment. For instance, the implications of the one, and later two, child policy have been much for far-reaching than we realised. Beijing was a breath of fresh air. I was expecting severe overcrowding and pollution. But it was shoulder season. We couldn’t have timed our journey better. The temperatures were around 16-18C; perfect for an ‘On the Go’ tour. Our time at the Great Wall saw even cooler temperatures so climbing the wall was a much more pleasant experience. Staying at the Great Wall overnight meant we were able to begin our second climb early in the morning, therefore avoiding the crowds we soon encountered on our descent. Had I not been traveling with a guide I would have surely underestimated the importance of timing on the Great Wall. The lack of litter everywhere we went led me to reflect on how mistaken we are here in New Zealand for thinking we have a ‘clean, green’ environment. We certainly have a lot to learn from more populated countries. Memorable views on the Juyongguan section. Where are all the people? Xi’an was equally clean as Beijing. And the cuisine was just as impressive. However, the highlight of this amazing city for me was cycling the city wall. Over 13 kms of it. It had been over 20 years since I had last been on a push-bike so I was more than a little uneasy at the thought of getting on one in a busy city. In the end it was so much fun and truly exhilarating when we finally reached the finish line that I didn’t want to give up the push-bike I had become rather fond of. Beyond the city walls of Xi’an my most memorable experience without doubt was visiting the Terracotta Warriors. The site was considerably different to what I had imagined. 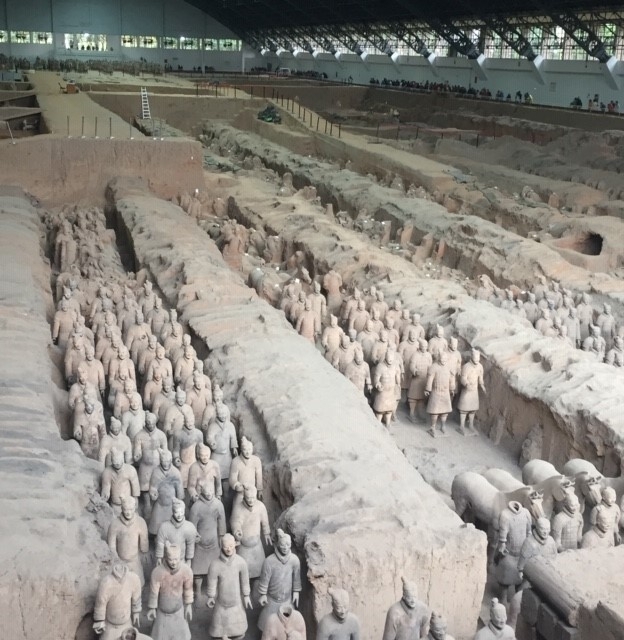 For one, I didn’t realise how many Terracotta Warriors there actually were, that they are housed across four main pits, and that the majority are yet to be excavated. 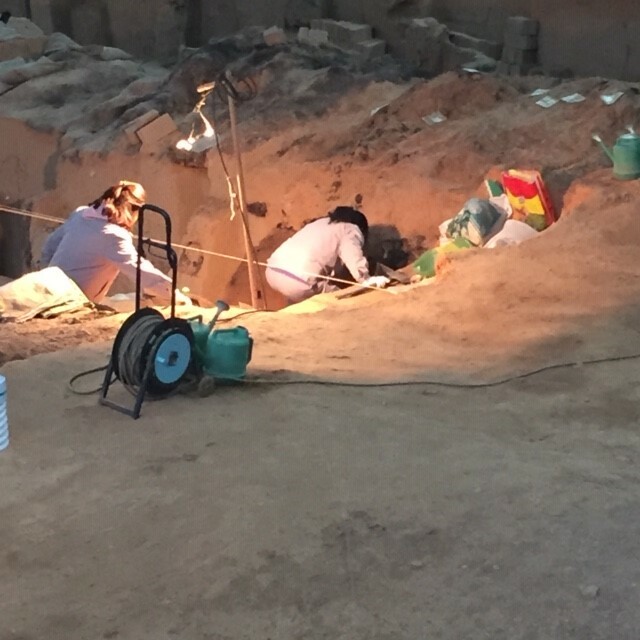 Observing the scientists carefully unearthing remains was fascinating. Piece by piece emperors, generals, soldiers, warriors, archers, horses and chariots are reassembled to go on display. It’s a very laborious task which requires skill, precision and patience. It’s important to note that while we didn’t go out running marathons before embarking on this experience, we did all have a reasonable level of fitness. This was crucial when climbing the Great Wall. The walks on the Great Wall are made up of hundreds of steps, each with varying depths and gradients. As a result, you find yourself having to literally climb some steps, while the shallower steps make for a more leisurely walk. Our guide pointed out to us the easy walks and the more difficult. Naturally the competitive among us chose the more difficult ones and I’m pleased we did, as the views from the top were remarkable to say the least. However, there is no reason why those with a lower degree of physical fitness can’t enjoy the Great Wall and the other man-made attractions China offers. Accessibility is a priority at such sites, so I highly recommend giving them a go irrespective of your physical fitness. The key is to pace yourself and take plenty of rest stops for there is no limit to the length of time you have on the wall. Aside from having our guide accompany us in Beijing and Xi’an, we had a local guide showcasing the best of Xi’an to us. His name was Benny. Lisa and Benny complemented each other well with regard to their story-telling, humor and advice. After walking through the Muslim Quarter with Benny and Lisa we were let loose to practice our bartering skills and try the local delicacies on display. Most of which were delivered on sticks rather than in paper or plastic. The Muslim Quarter is one place where pick-pocketing is rife. However, we were lucky enough not to experience this. In fact, we were treated more like celebrities as we walked around; some young local lads approached me requesting I have my picture taken with them. They wanted to talk to me, so they could practice their English. You can understand my reservations at first but after talking to them for a couple of minutes it was obvious they meant no harm and knew I was traveling with a group. 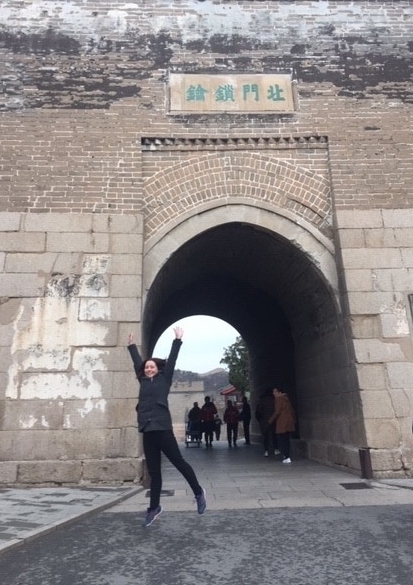 Although unfortunate circumstances, such as theft, can and do arise while traveling I am still surprised at how safe I felt as a tourist in China; especially in Beijing where many of the Chinese tourists hadn’t seen a white person before. This was further evidence that the importance of experiencing China with a guide should not be underestimated. Mid-November saw nine enlightened, albeit exhausted, travel consultants return from China; each of them different to the person they had left behind. Of course, they still looked the same, talked the same and behaved in pretty much the same way. What had changed was their perception of China and desire to return for further mentally stimulating and physically challenging experiences. Personally, this transition would not have occurred had it not been for Lisa & Benny, the guides who put their lives on hold to enhance ours through travel and provide us with the necessary cultural interactions to understand and appreciate social differences.